You can run Solaris SPARC software on Solaris x86-64 (and even Linux x64 and Itanium). Here is Solaris 10 u4 x86-64 running Acrobat Reader 8.1.2 SPARC via Transitive QuickTransit Solaris/SPARC to Solaris/x86-64 cross-platform virtualization. Install QuickTransit, start the daemon and run SPARC software. It's as easy as that. [Mar 21 14:44:04 UTC] RC5-72: using core #5 (AnBe 2-pipe). an Intel Pentium 4 processor. [Mar 21 14:45:19 UTC] RC5-72: using core #6 (GO 2-pipe). 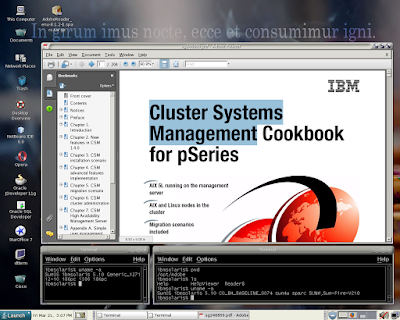 [Mar 21 14:45:37 UTC] OGR-P2: using core #4 (GARSP 6.0-asm-rt1-mmx-amd). So performance on my Intel(R) Pentium(R) 4 CPU 3.40GHz LGA775 is on par with a UltraSPARC running at 700Mhz or so. Still, that's pretty good. is there anywhere you can still get a copy or download Solaris x86-64 on the internet? would like to try and set this up as a virtual server but cannot find anything on solaris x86-64. can you help? nah sorry not quite what im looking for. i am looking at setting up a virtual server on x86-64 architecture to be able to run Solaris Sparc specific software. i was wondering if you know of where i can get Transitive QuickTransit to make this possible like you have done. 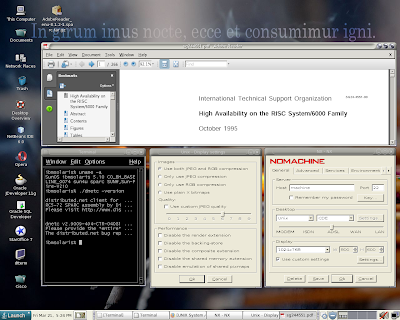 Alternative: Virtutech Simmics (Windriver now) emulates SPARC and could run Solaris SPARC at some point. "Need to Run SPARC Solaris Apps but Worried About Your Hardware? Wind River Simics SPARC Virtual Platform"
Sorry I know this is too late now !! , is there a way to get a copy of the transitive QuickTransit software for sparc/solaris ? I really need this .